Have you ever had a script where you needed to run parts of it on different instances of SQL Server (for example, to set up database mirroring)? Wouldn’t it be so much easier if you could just have commands, within the script, to connect to the various servers and run that portion of code? Of course it would! And once again, SSMS comes to the rescue with SQLCMD mode. With any query window open, on the Query menu is an item for, you guessed it, SQLCMD mode. This puts your query into SQLCMD mode, where it recognizes certain commands. It also will turn off intellisense in this window. SQLCMD commands will be highlighted in grey (as can be seen in the screen shots throughout the rest of this post). :SETVAR :CONNECT :RESET :ERROR :OUT :QUIT :EXIT :R :ON ERROR EXIT :!! This screen shot shows the highlighting of the SQLCMD command, and the results from the above two lines of code. Unlike TSQL variables, which are available only within the current batch, SQLCMD variables are available throughout the script, even across multiple batches. The next part combines both of these together. This can be especially useful when you may need to switch back and forth between different servers. Here we will use a variable to set the SourceServer variable, and then use that within the CONNECT command to connect to that server. In conclusion, the SETVAR and CONNECT SQLCMD commands will add a lot of flexibility to your scripts. You can even incorporate template variables in with these. This post is for day eight of my month-long blog series “A Month of SSMS Tips”. I have a landing page for the series at bit.ly/MonthOfSSMS. Please visit this page for an easy place to quickly view all of the other tips in this series. #1 | Pinged by Dew Drop – January 9, 2018 (#2639) – Morning Dew about 1 year ago. 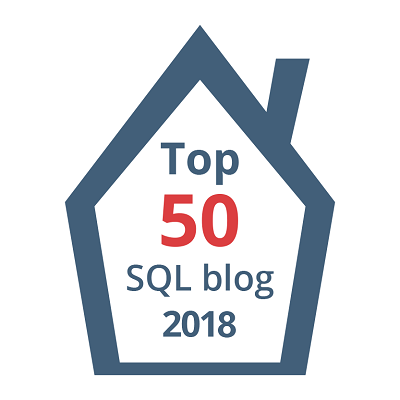 #2 | Pinged by More SSMS Tricks – Curated SQL about 1 year ago.